We are offering a wide array of Locking Bush. These products are the changeable part in taper lock pulley. 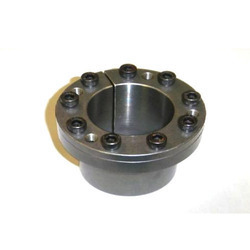 Additionally, over a period of time shaft damages center part of the pulley and whole pulley needs to be replaced but using these offered taper lock bush pulley can be reused. In addition to this, these are acknowledged among clients for their sturdy construction, easy installation, anti-corrosive and enhanced durability. Looking for Locking Bush ?